Four people have been injured in two different accidents. While one accident occurred in Male' City during the early hours of Sunday morning, the second accident occurred on Laamu Link Road around midnight. 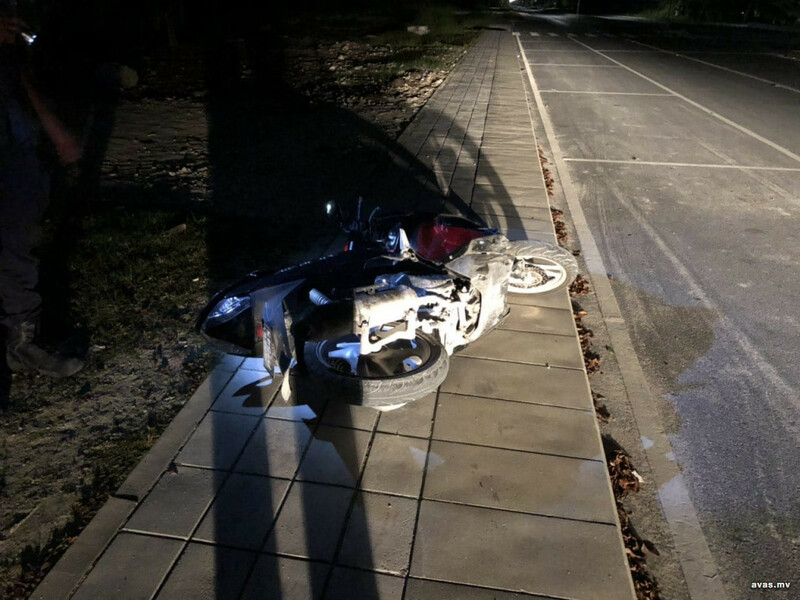 In the accident in Laamu, a man and a woman were injured when the motorcycle they were riding on crashed into the road dividers, throwing them off their bike. Both persons received several injuries and were taken to Gan Regional Hospital for treatment. Although the woman fell unconscious due to the accident, neither person suffered serous injuries. 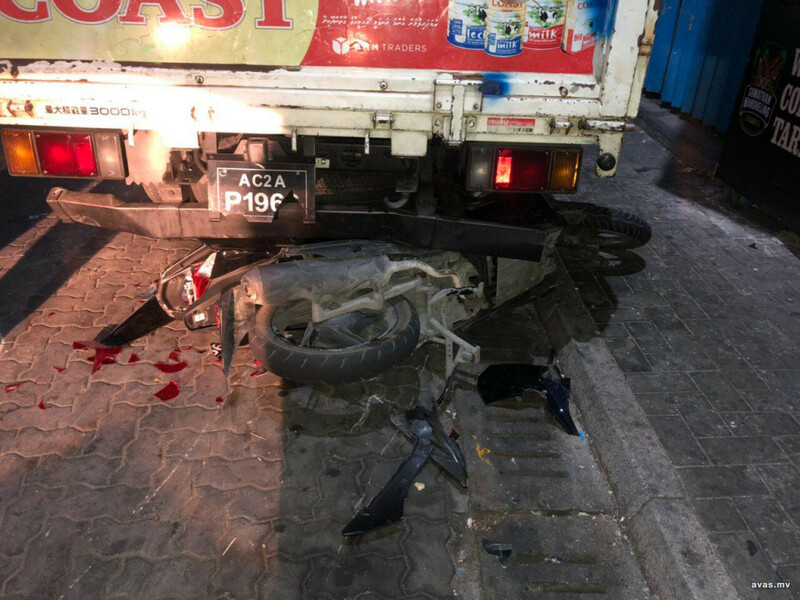 In the accident that occurred early this morning in Male' city, two people were injured when two motorcycles crashed into a parked pickup. One driver fled the scene. The two people who rode on the remaining motorcycle sustained minor injuries and were taken to state-run Indira Gandhi Memorial Hospital for treatment. The driver of the motorcycle did not possess a license.